The species is widespread in southern and eastern England, with scattered records in the west, Wales and north to central Scotland. It is widespread in western and central Europe as far north as Sweden. 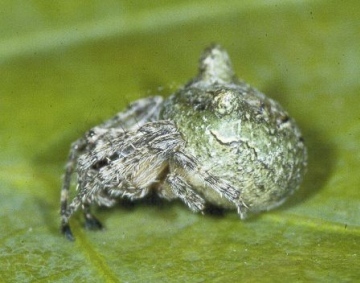 The spider spins an orb web on trees and shrubs, especially evergreens, in woodland, hedgerows and more open areas. Both sexes are adult from early to mid-summer. Although frequent in southern England, the species becomes rarer in the north.